SALT LAKE CITY— Compared to other types of breast cancer, triple negative breast cancers are often more aggressive and have fewer treatment options. In a new study published in the journal Proceedings of the National Academy of Sciences (PNAS), researchers at Huntsman Cancer Institute and the University of Utah have identified a molecular mechanism that triple negative breast cancer cells use to survive and grow. The data suggests that high levels of Myc and low levels of TXNIP promote triple negative breast cancer cell growth and survival. Corroborating this finding, high levels of Myc combined with low levels of TXNIP correlate with poor patient outcome when examined in large clinical datasets. Further, the relationship between Myc and TXNIP is not observed in other types of breast cancer, suggesting that it is a feature of only aggressive triple negative breast cancers and not other less aggressive breast cancer types. While this current study primarily focused on the role of Myc and TXNIP in triple negative cancer nutrient uptake and utilization, Ayer said the proteins also appear to play a role in metastasis, the process by which cancer cells spread to other parts of the body. Ayer said that if this result is validated in clinical trials, then looking for the high Myc, low TXNIP signature will identify women at high risk for recurrence who could then be treated more aggressively and watched more closely. 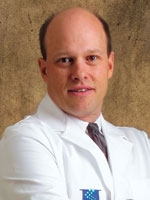 Adam L. Cohen, M.D. and Alana Welm, Ph.D., from Huntsman Cancer Institute, were co-authors on this study. Other co-authors include Liangliang Shen from the State Key Laboratory of Cancer Biology, Department of Biochemistry and Molecular Biology, The Fourth Military Medical University in Xi’an China; and John M. O’Shea, Mohan R. Kaadige, Stephanie Cunha, and Blake R. Wilde from the Department of Oncological Science at the University of Utah Health Sciences. This work was supported by the National Institutes of Health (5R01GM055668-15 and 5R01DK084425-03, Ayer DE, principle investigator), by developmental funds from Huntsman Cancer Foundation, and by the Cancer Center Support Grant P30 CA42014. Sheng L was supported by a China Scholarship Council Grant CSC-2011659013.